We Are finally starting to see blue skies. 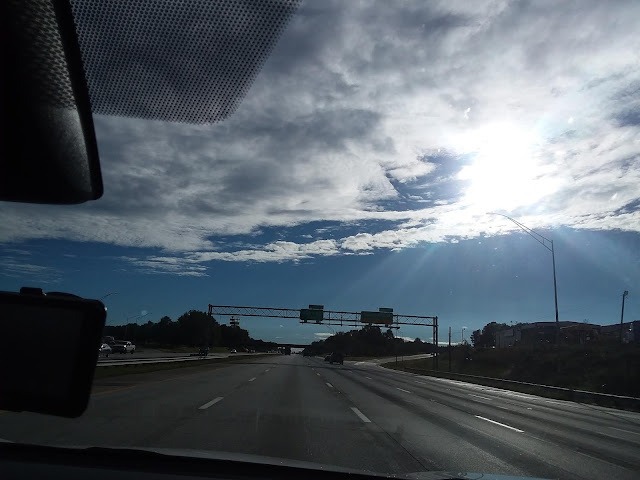 It has been a very wet day in Winston Salem, but on the way back to Charlotte the sun came out. It's the first time we've seen the sun since we started our trip. Now back to Charleston for the real vacation.